Two things usually at odds with one another: technology and seniors. These two, however, are becoming increasingly entwined as today’s top eldercare providers are constantly making advancements. Technology has reshaped the way people receive care in both a professional and in-home setting. Below are just a few exciting things happening in the eldercare world. 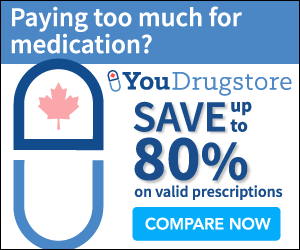 There are many products that have been specifically created to aid seniors around the house. There are talking microwaves for the visually impaired, which can be programmed in either English or Spanish. There’s a company called Stove Guard who produces stoves that turn off when no one has been near them for a set amount of time. There’s even a cabinet lift system created by Universal Design Products Incorporated. Reaching for a high cabinet can throw a senior off balance and cause a fall so their lift system allows hard-to-reach cabinets to countertop level. The system also allows counter height to be adjusted simply through the press of a button. Wash machine companies have also begun designing products with seniors in mind. There are machines with larger knobs and louder adjustment noises to aid seniors while setting the machine. Also, there are machines that wash and dry within the same unit, eliminating the need to transfer heavy loads between two separate machines. Ideally, many seniors want to age in the comfort of their own homes, but sometimes this scenario just isn’t feasible, either for financial reasons or because of health issues. The next best option is what is called multigenerational living. If you already have the extra room for a parent to move in that’s great, but building firms have begun to tap into this emerging market, adding what is commonly called an “in-law suite” onto existing homes. This way, everyone has private living quarters while remaining close. Beyond the money saved on assisted living or caregivers, living at home has health benefits as well. Housekeeping, cooking, and yard work are just a few things that can make up your aging loved one’s routine. Doing small things around the home and keeping a routine helps stave off what is called aging atrophy, a common problem when people live in care facilities. Aging atrophy makes an elderly person more dependent on the people around them whereas a routine can keep them independent for longer. For tech savvy seniors, there are remarkable amounts of current and emerging apps aimed their way. 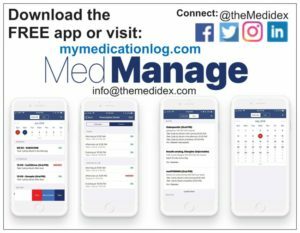 There are apps that allow you to crosscheck medicines (finding out how they might react), apps that compare nearby pharmacy prices, and apps like MedManage that creates easily accessible medication management logs for family members and users. Medicine, as we know, is only effective if it is being taken. With more apps being developed constantly, overseeing the care of a loved one has become much more convenient than it once was. The baby boomer generation, the largest aging population in history, is more comfortable with technology than the seniors before them. Using technology will allow baby boomers to fully use the constant innovations that are available when it comes time for them to be cared for. Even for those who are not particularly tech-savvy, there are medical alerts and fall detection devices to alert authorities if there is an emergency. Those types of technology are as simple as plugging the devices in. Baby boomers, no different than prior generations, will want to remain in their homes longer and since many have taken care of their parents for some time now, their familiarity with the entire eldercare system is at a higher level than the generations before them. Max Gottlieb is the content editor for ALTCS and Senior Planning in Phoenix Arizona. Senior planning is a free service, which has helped many Arizona seniors and their families navigate the process of long term care planning. ALTCS and Senior Planning find and arrange care services as well as help people apply for state and federal benefits.